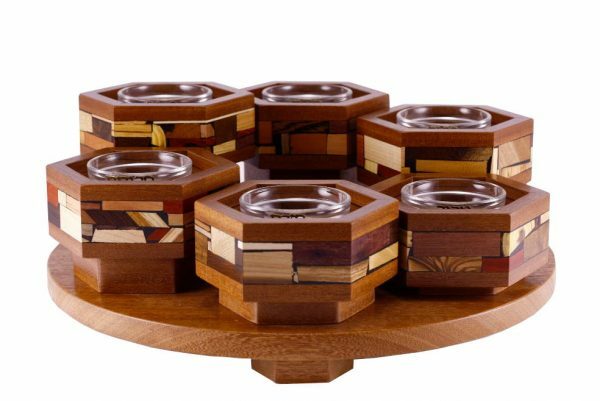 Introducing Etz-Ron’s Lazy Susan Pesach Plate, made from solid wood and decorated w/ a mosaic wood border. The mosaic wood border features over 30 different types of wood from Israel and the world. It is fitted with small glass dishes to hold a representation of each of the special Pesach foods. 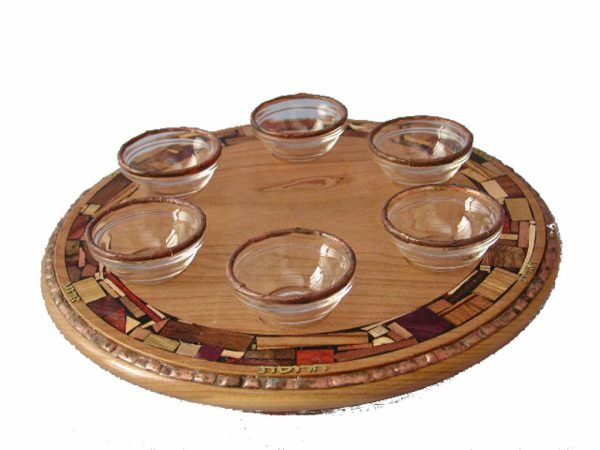 The glass bowls are labeled with Hebrew letters and edged with tin work. The wood lazy susan is also edged with tin work ! Want this Passover Plate? Lead time 4-6 weeks. Contact Me to order, or with any question.